Yes Popcaan and Black Ryno did fight st Sting. Sting 2012 was for the most part a flop but the infamous fight between former labelmates Popcaan and Black Ryno brought some much needed humor to the show. 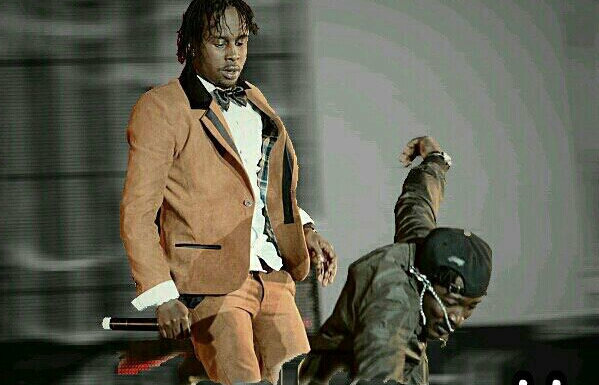 We are still unsure what caused the fight in the first place, however, you can see Popcaan pushing Black Ryno off the stage in the video below. Popcaan was out on stage going through his set, receiving a lukewarm response from the audience when Black Ryno ran out on the stage presumably for a clash. But Poppy was having none of it and moved to pushed Ryno off the stage. 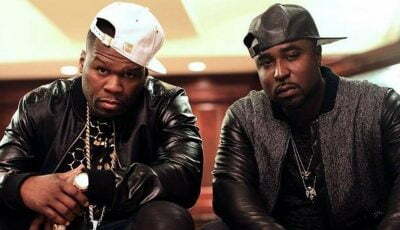 A brawl ensued between both artists entourage but securities were quick on the stage to break things up. “Dem Bwoy deh nuh worry we #TR888,” Popcaan tweeted after the show. “Unrulies mi love enuh, great performances soon fwd…Zimbabwe now!! !,” Poppy added on Twitter. This latest Sting incident reminds us of the infamous fight between Vybz Kartel and Ninjaman at Sting 2001. Guess I was right Popcaan kick Black Ryno wid him Clarks. lol……unruly……..little boy get kick up………. Poppie and Blackie…kids grow up. pappi a tlk bout him love kartel, addi prolly a turn inna him cell deh nw. is push him push him…not kick…ryno mi seh all day. LOL the day Popcaan kick down Black Ryno you know something wrong in dancehall. I’m nuh kick dun a soul ratingz drop fi yuh Poppie childish behavior dat…If u can’t attack a man up front don’t attack him from baq ratingz alwayz deh there fi Rhyno full time the man get baq busy. so childish………..rastaz dnt act like babylonz! give aclean picture to the world..one love! So he looks really cute in his tite lil suit…lol lol 6ut this wuz a waste of time.